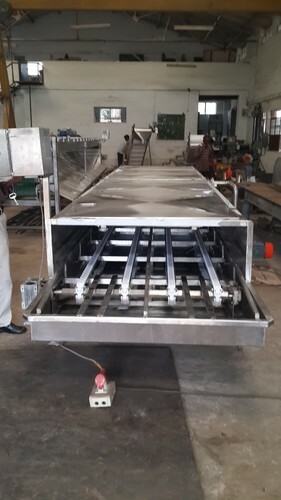 Keeping track with the market development, we are engaged in offering our clients with a wide collection of Inspection Belt Conveyor that is suitable for conveying or inspecting of fruits and vegetables. It is manufactured using excellent quality raw material and latest technology by our skilled professionals. In order to ensure quality, this conveyor is stringently tested on various parameters by our experts. Apart from this, remarkable quality and sturdy structure increase the demand of our offered conveyor in the market. 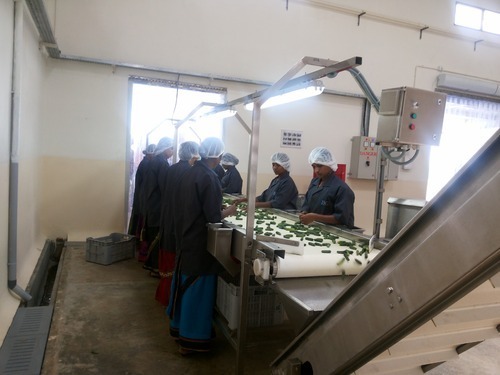 We are an acclaimed entity, engaged in offering a wide range of Vegetable Sorting Machinery that is used in food processing industries for vegetable shorting. 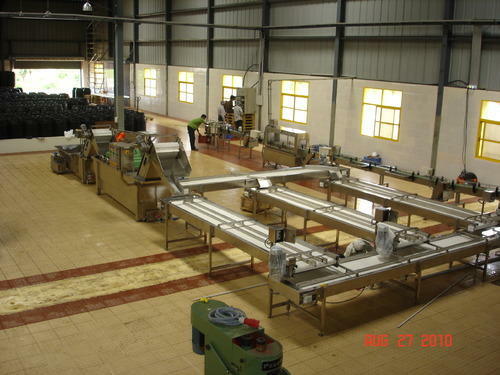 Being a quality-oriented organization, we assure our clients that this machinery is best in quality. Our skilled professionals only utilize fine quality raw material, while manufacturing the entire range of machinery. Moreover, our offered machinery can be availed in a wide range of sizes, as per the requirements of our esteemed clients. 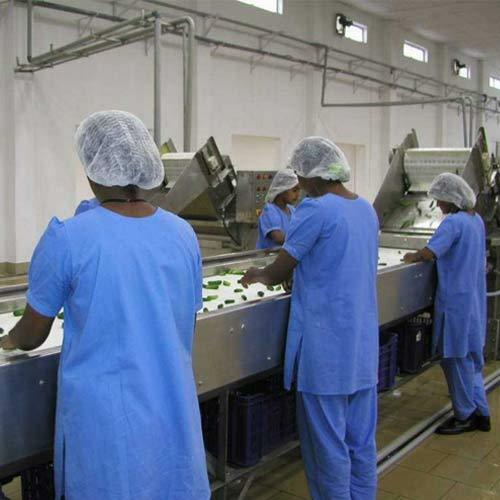 Backed by rich industry experience, we are affianced in providing a qualitative assortment of Vegetable Processing and Fruit Processing Machinery. Our skilled professionals manufacture this machinery using well-tested raw material and sophisticated technology. In addition to this, our offered machinery is rigorously tested by our quality controllers against diverse parameters in order to deliver a defect-free range at clients end. Moreover, the offered machinery is extensively appreciated by our clients for featuring variegated attributes like easy usage and durability. 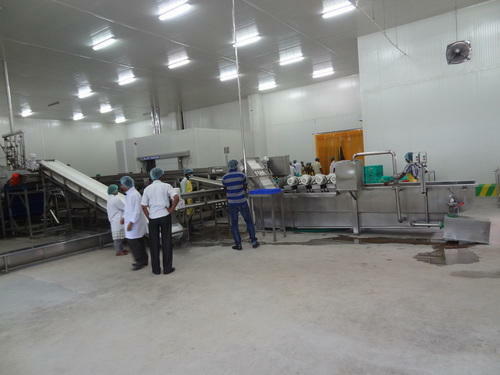 We offer Coolers mainly used to cool the fruit and vegetable by means of chilled water, this treatment is used generally to inactivate some specific enzymes that can damage the product in the following phases of workmanship. The Product is carried by a belt conveyor whose speed is adjustable by manual speed reducer to optimize the processing times according to production needs. In line with clients' variegated requirements, we bring forth a distinguished collection of Vibratory Shaker that is used in automotive industries. This shaker is designed at our ultra-modern manufacturing unit using the superb quality raw-material and progressive technology in conformance with defined quality standards. Being a quality-oriented organization, we assure our clients that this shaker is excellent on counts of durability and quality. We offer this shaker at most affordable rate. SS 304 or SS 316 as per Customers Requirement with reputed vibro motors and suspension of Imported Rosta Make. We offer Wide range of Rotary Washers, mainly used for washing & Scrubbing vegetables & Fruits, designed from food grade metals, these washer have nylon bristle rollers that scrub the vegetables by rotating in their own axis. There are different capacities and technical specifications in which this rotary Vegetable or Fruit washer is available for our clients. We offer wide range of Bubble Washer, mainly used for cleaning fruits and vegetables like spinach, tomatoes etc. Bubble Washer helps to disinfect the clean water, kill harmful bacteria and decompose the pesticide residue. The Whole Process save much water and make less damage to the vegetables with thin skin. 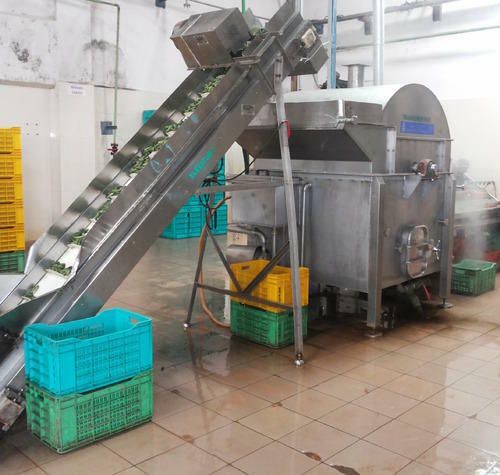 Sujay Industries offer wide range of Brush Washing Machine(Fruit Washer), mainly used for thorough washing of Gherkin, vegetables and Fruits online to the food quality grade without damaging the product. It has 8-sided brushes and 8 rotary brushes which makes washing effective. 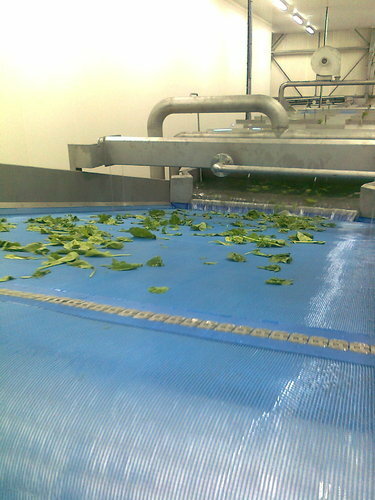 After thorough wash the pickup elevator picks up the fruits or vegetables to expose them to the sprayer for additional washing and convey to Next Operational Machine. Made of SS 304 or SS 316 as per the customer’s requirement. With the constant support of our dexterous crew of professionals, we are fulfilling the varied requirements of clients by offering optimum quality Belt Type Blancher. This blancher is manufactured using optimum quality raw material and advanced technology. In tune with different requirements of our copious clients, we customize the entire range in various sizes and shapes. 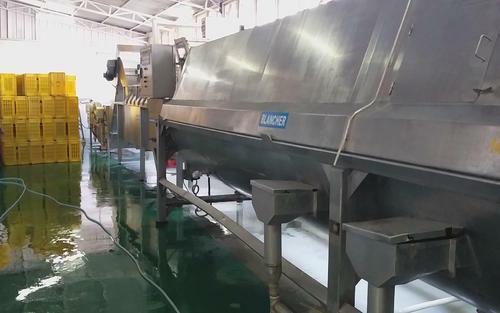 Ideal for the preparation of fruit and vegetable in food processing sector, our offered blancher has gained exceptional value amongst our clients for its defined features. Sujay Industries is the leading manufacturer and exporters of wide range of Blancher and cooler for the preparation of fruit and vegetable in food processing sector. 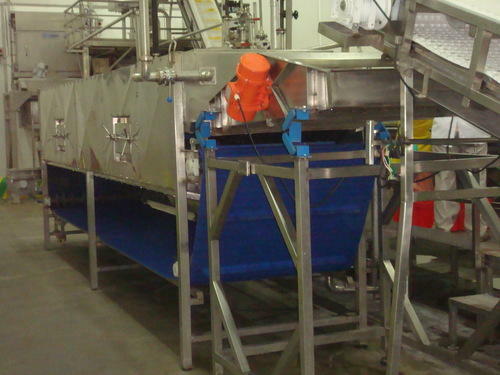 Belt type blancher suitable for blanching whole fruit and vegetables like sweet corn, gherkin, cut vegetables, etc. made in SS 316 and 304 grade as per the customer requirement. Sujay Industries is the leading manufacturer and exporters of wide range of Rotary drum Blancher for the preparation of fruit and vegetable in food processing sector. 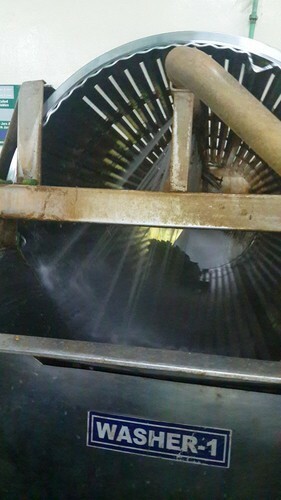 Rotary drum type blancher suitable for blanching whole fruit and vegetables like sweet corn, gherkin, cut vegetables, etc. made in SS 316 and 304 grade as per the customer requirement. 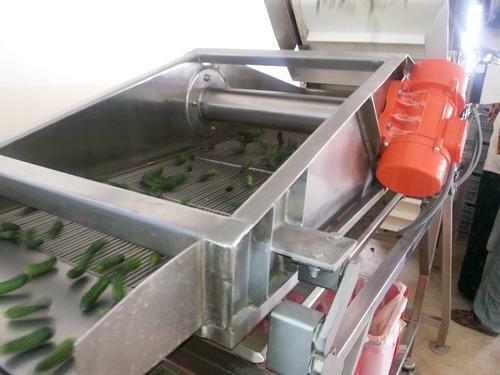 Sujay Industries manufacture and supply Fruit and Vegetable Blancher for food processing, Vegetable processing, fruit processing, Gherkin processing, frozen food processing industries for Blanching fruit and vegetables as per the customer requirement and capacity.We offer in SS 304 and SS 316 food grade steel. Also Sujay Industries world known company for exceuting trunkey project for Gherkin processing machinery, food processing machinery, Vegetable processing machinery, fruit processing machinery, Gherkin processing machinery, frozen food processing industries. Sujay Industries is the leading manufacturer and exporters of wide range of Blancher and cooler for the preparation of fruit and vegetable in food processing sector.Rotary drum type blancher suitable for blanching whole fruit and vegetables like sweet corn, gherkin, cut vegetables, etc. made in SS 316 and 304 grade as per the customer requirement. 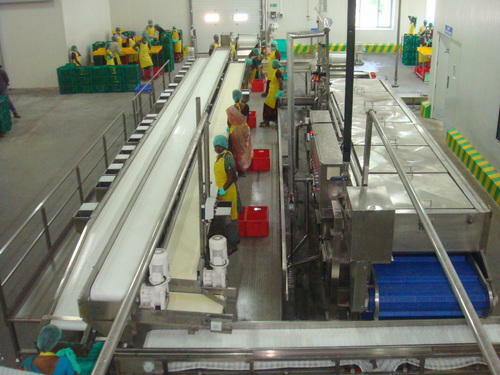 Leveraging on our industrious professionals, we are offering a supreme quality range of Fruit Processing Machinery. Offered machinery is manufactured using optimum quality raw material and latest technology by our skilled professionals. Besides, this machinery is made available in various specifications. This machinery is highly appreciated among our clients for its precise design and durability. We provide this machinery at very competitive price to our clients. We have gained a remarkable position in the industry by offering a qualitative assortment of Vegetable Feeding Elevator that is used in different processing industries. The offered elevator is manufactured employing high-end technology and well-tested raw material in adherence to industry defined guidelines. Apart from this, the entire range is rigorously tested under the strict inspection of our quality controllers. This elevator can be availed from us in various specifications at market leading prices. Being a well established organization, we bring forth an excellent assortment of Vegetable Fruit Blender Machine. Our provided machine is manufactured by our skilled professionals utilizing quality approved raw material and advanced technology. Our offered machine is widely appreciated by our prestigious clients for its precise design and easy installation. This machine can also be availed in various sizes, designs and other related specifications. We have marked a distinct and dynamic position in the market by providing a high quality array of Vegetable Blencher . 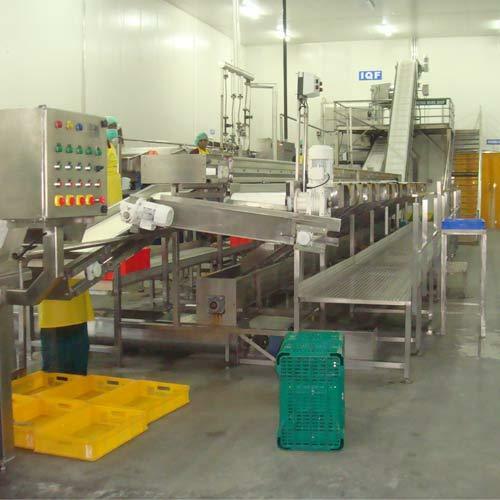 Our offered system is mainly used in food processing industries and is available in a variety of sizes, dimensions and other such specifications to choose from. This system is precisely designed at our highly advanced manufacturing unit following industry defined guidelines. The offered system can also be availed from us at the industry leading prices. 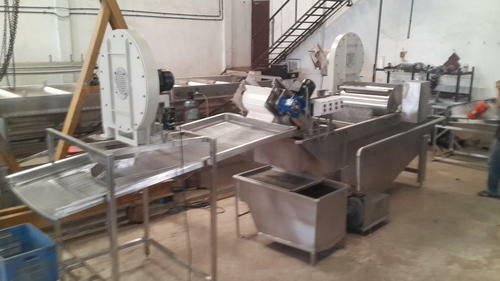 The policy made by the company makes us engaged in offering a quality assured range of Relish Blending Machine. 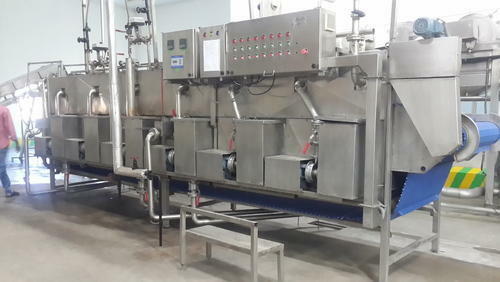 It is used for mixing Relish products in food processing industries. The entire range is manufactured by a team of our adept professionals utilizing quality approved raw-material and advanced technology. Our offered machine is widely appreciated by our prestigious clients for their high performance and durability. Provided machine can also be availed in various sizes, designs and other related specifications at market leading rates. Sujay industries is the leading manufacturer and exporters of Vegetable and Fruit Blenders. 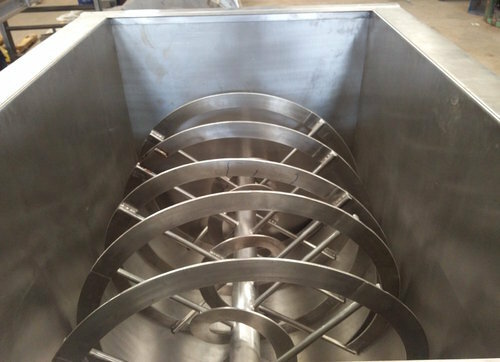 Used for mixing Relish products in food processing industries. 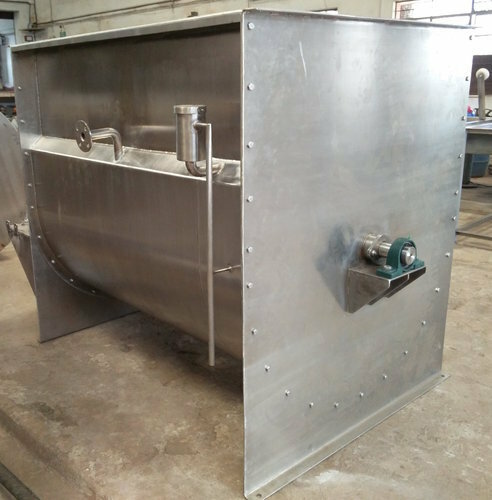 Offers wide range of blending machine for mixing depends on the application of the customers.Made out of SS 304 and SS 316 grade steel. Very strong and rigid construction, less Maintenance, easy for operation. 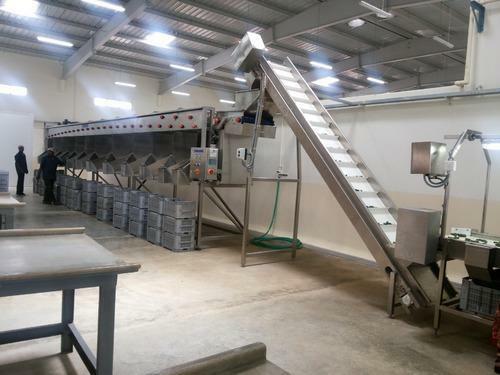 Looking for “Vegetable or Fruit Processing Machinery”?